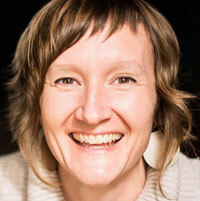 VANESSA STALLING recently directed A Shayna Maidel by Barbara Lebow for TimeLine Theatre. Prior to that, she directed Sarah DeLappe’s The Wolves at Goodman, which earned a Best Ensemble Jeff Award and a Jeff Nomination for Best Director. Vanessa is also known for directing United Flight 232, a production she adapted from the book Flight 232 by Laurence Gonzales. For nearly a decade, Stalling was a primary artist at Redmoon Theater, serving as a director, performer, and Associate Artistic Director. She was the 2016 Michael Maggio Fellow at Goodman Theatre and a New City 2018 Player. She is also an assistant professor of directing at the University of California San Diego’s Department of Theatre & Dance.